always looked back to be sure of me. He didn’t like team sports, games with balls or pucks. He said they were not games. That games were supposed to be fun. That some sports were mean. “There’s too much, too fast,” he said. Still, we made him try. Made him put on uniforms. Made him get on the field. We told him to have fun. He was delicate, a white moth fluttering against the night window. But he knew something that we didn’t. we could have put all our faith into. If we had only been listening. That he would grow into himself. Note: I am thrilled to announce that I actually was the lucky winner in the “Memories Captured” contest, and I can now select any image that I love and have it transformed into a 16″ x 20″ canvas from Canvas Press! Yay! Can’t wait to show you the results! This entry was posted in Love, Parenting and tagged Fencing, Parenting, self-esteem, when parents don't listen to their children. Bookmark the permalink. Love this, Renzay. Every word. And that boy. And you. Why am I crying right now? I needed to hear from you. Thanks Leanne. Good life truth. We all have to grow into ourselves. Why do so many people try to force us into things we don’t want to be along the way? What a great piece! And what a great writer! Why doesn’t she have a tweet button? Tears! He’s just like my son. It’s so wonderful to see what a confident guy he has become. Loved reading this post so much. They aren’t all made to play with balls, are they? This is a beautiful tribute to your son and your relationship. Too often as parents we get caught up in what we think they should participate in and yet left alone to make their own decisions, they always seem to make the right ones!! You are so right! Why don’t we trust them. I mean, I have learned to. But why didn’t I? I guess because I wanted hm to do what I loved. oh, if your son only knew what his Hebrew school teacher was reading about him! I edited because on the bloggie the boy is Tech Support. 😉 Nice to know his Hebrew School teacher is reading along. Oh I adore that last shot (not that I don’t love the first one, too). I have a soft spot for children growing into themselves. I hope it happens someday for me, too. Weird to see how the soft places have become hard edges. And this picture is old. It’s about 18 months old. He made me crop it because he didn’t have “proper” fencing shoes. I love that he knows himself so well. Like you said, I hope I can figure myself out as well. I think it’s wonderful that he’s grown into himself. Fencing is incredibly cool by the way. Hi Alison! I had trouble hooking up earlier today, but I made it. Phew. Meanwhile I read a ton of the links. There are so many compelling posts. You guys should be proud of your coordinated efforts! Really lovely photos and really lovely stories! Oh, this is wonderful, Renee, but then you already know how I feel. Sometimes I think it must be impossible to know how to guide a child along–how much, how little, how? I skipped that whole baby thing, avoiding the great terrors and anxieties along with the joy. Thanks for visiting my blog. I thought I did have a tweet button, on the left there somewhere, or down at the bottom with the “share” button. See, if I HAD had children, they’d be in a position to help me with all this computery stuff by now. Dang. You have a tweet button that gets us to follow you, but not a SHARE button which makes it easy to tweet. You were worth the extra effort! Plus, I might have just missed it. You are a great writer; I read your latest post too! And can I say, I don’t think I’d have a blog without Tech Support. And by Tech Support, I mean my son. and who he will become. I swear he is an old soul. What a beautiful poem Renee. The thing I love the most about being a mom is watching my children just “become” right in front of my eyes, the person they were meant to be and the joy that comes from just sitting back and letting them find their way. And having 5 kids, you are kind of an expert! Your words are lovely, yes. And your photos tell a story, also yes. But your love, oh my heart your love, is perfection. Great piece, Renee! What bravery for him to grow into who he is without succumbing to what others want him to be. Thanks for sharing! Thanks Kim! I’m trying. He is teaching me. He has definitely grown into himself. He is a fencer, a “Tech Support” dude and a mensch. And in a few months…he will be a man. At least according to Jewish tradition. Not sure if they were picturing Operaman. But, what can you do? The kid has musical talent, too! What were you worried about?? 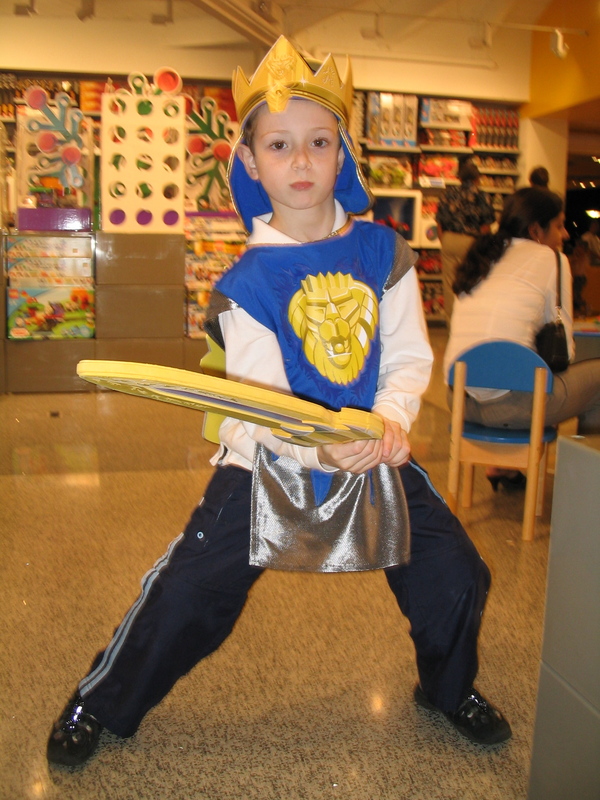 Who knew when he held a sword back in Disney that he would one day love his sabre so much! He’s off to Albany for a tournament this weekend. It is monkey! I knew it! I am so glad you wrote! I love when former students find me! I can’t wait to hear about your interview. And by the way, “Monkey” prefers to be called “Tech Support” since you last saw him. He’s growing up. Oh how I love this! I have one of these amazing kids who marches to her own drum but shines like a diamond. I think it’s easier that she’s a girl. So glad you celebrate him. I don’t know if it’s ever easier when you are different. And as my friend with three sporty kids likes to remind me, the sporty kids always have it easier. Sometimes easier isn’t the only road though, right? Hi Wendy! Thank you so much for stopping by! And for your kind words. I had to get his permission. I promised I would never post a picture of him without his permission. He liked the pictures. And the words. Hi, this is my first time here at your blog and I’m touched by this post. Lately the hubby has been commenting about how our boy should be playing with more ‘masculine’ toys and even suggested getting him toy guns and swords and stuff, but I told him to leave him alone – he’s not even 2 yet!! I must get the spouse to read this! Thanks again, it’s a wonderful post! We parents have our expectations, too, right? It just amazes me how well a child can know his likes/dislikes/passions/etc. at such an early age. What amazes me even more is the amount of patience he showed as he dutifully participated in all of the activities you provided for him. My child is infinitely patient. What child can delay gratification like this one? He’s an old soul, I tell you. And you are right! I would have exploded in defiance, but that is not his way. Beautiful! Those are both FANTASTIC pictures. 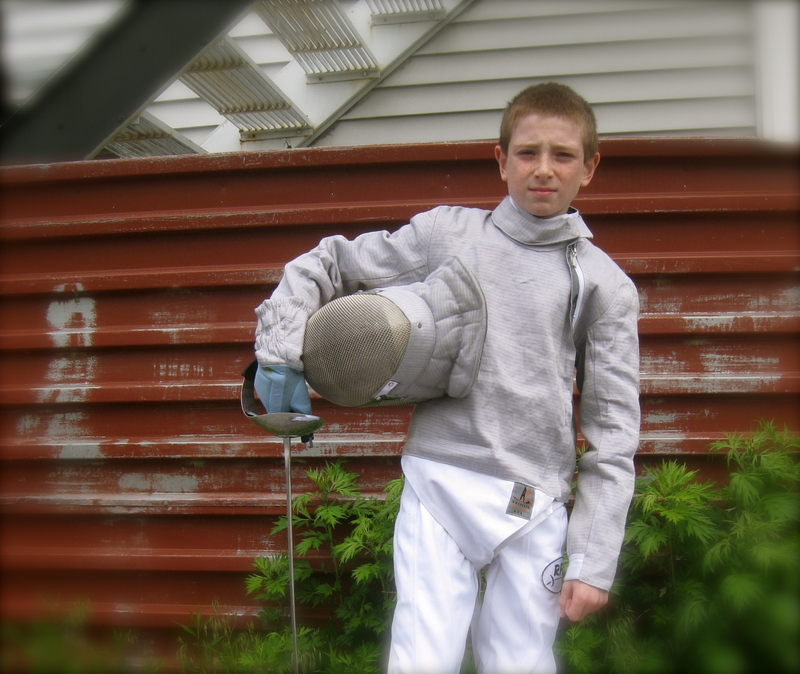 My brother used to fence, too! It seems so difficult. I have been watching from the sidelines for 2 years now. I am only just starting to understand who gets which point when. In sabre, they look like two rams smashing into each other. So beautiful… . Love every single word. Very nice post! Love it. Pingback: Memories Captured Recap and Winner of Canvas Press Photo Print! | Mama Wants This! | Mama Wants This! what a lovely post – and the echo of little boy in disney to serious-minded fellow with epee is just wonderful. it’s a little weird, though, at least when I read this post, to end the post and then have a flashing ad for “world of warcraft” video games. Not sure if you have control over that but it installed a kind of cognitive dissonance – that notwithstanding, your post is terrific. I hope when he’s older you’ll show it to him? I don’t see ads on my page! Are you telling me you see ads?! I’ll have to look into that. Other people (and you yourself, actually) will see ads when you aren’t signed into your blog. At least, that’s how my free hosting here at WordPress works. If I sign out and view my blog, I often see ads. Love yor writing, as usual, and really love the ,message. Our kids should not be molded to be what we want them to be but rather guided and supported when they need to be. That’s the nicest comment. Sometimes we don’t see who they are; we are so busy trying to squish them into little boxes into which they’ll fit. Oh…Mama’s and their boys. Don’t you just love them? As someone who is still trying to listen to himself instead of everyone else, this is a touching and beautiful piece Renée. I always love reading your posts. Thanks Christian! And I’m looking into getting those ads turned off! I am a .com — I don’t know why I have ads! I probably am supposed to disable something. I am just a dork and don’t know how to do it. I enjoyed reading this. You’re a lovely writer. As parents, it’s our job to expose our kids to the varieties of life, but also (and more importantly, imho) to “listen” to them–which involves theirs and our hearts interacting as much as their mouths and our ears. I have two boys, and both are very different from the other–demeanor, temperament, gifts and challenges. Though they compete in sports, both are gentle and not hyper-competitive. I’ll say too that, as parents, it’s also our jobs to worry about them–but not to let our worries infect them in terms of poisoning their following their own heart’s path. This is a beautiful poem, Renee. I hope Tech Support knows how much you love him and remembers this poem as he grows up to be a man. What a wonderful family keepsake.